I’m going to create a petition, get 10,000 signatures and march to the steps of Parliament. I’m going to write directly to our Prime Minister and ask her to rush through legislation that will benefit many New Zealanders, and our reputation on the world stage. I want it to be illegal to hype up the BlackCaps. Media, fans, and especially bandwagoners, will not be able to mention how good our cricket team is playing, how we could beat any team in the world, how our players are as good as anyone going around. And most of all, no one is even allowed to think that we can be competitive in a World Cup. Because when we start to actually believe, it all turns to desperate mess. I can offer you very few other explanations for these last two performances, other than we got too far ahead of ourselves. We’ve been performing well in all forms of the game, our players looked hot against Sri Lanka. We were peaking at the right time. And the second-best team in the world was on its way, to face us in our own conditions. Kane v Kohli (at least for a little while). It was all on, and everyone was talking about it. India are good, but they’re not this good. And we’re not as poor as these performances would indicate. There’s a bit of Rest and Rotation™ to help settle on a World Cup squad, but the changes aren’t significant enough to seriously deplete the side. Neither pitch has been one to dictate such a severe result, and Bracewell’s innings in the second match shows that application does reap rewards (especially when combined with a sprinkle of hopelessness). We are a team with a high ceiling, but we also have a low floor. On our day, we can beat anyone, and thankfully – recently – it’s been our day more often than it has not. But when it’s not, it is really not our day – it’s like a contagious gastro bug that runs riot through the dressing room. We can’t blame Sri Lanka. It’s true to say they didn’t offer as much of a test as this Indian side, but a world-class team should be able to bring that level of performance no matter who they’re up against. Of course, the opposition is allowed to have a good day, and everyone is allowed a bad day at the office now and then. But now we’ve had two in a row, and with the next game a potential series decider, time is running out for the BlackCaps to demonstrate that they can compete with this Indian team. The sporting public was amping for this series, and these matches have damped the spirits. The unfortunate thing for New Zealand Cricket is that this weekend in particular, there is plenty of other sport on. Without compelling cricket, people had reason to switch channels. The Sevens are on in Hamilton, the Phoenix are on a great run, and it’s Australian Open finals weekend. There are other options, and some people will have lost interest for the coming three games. So, let’s hope this is all part of a ploy. That the team is aware they do better when they fly under the radar, and they are actively getting rid of the weight of the bandwagon supporters, plus a few others along the way for good measure. That way, we can all pay no attention when they win it all in England. Another good read, Heather, and one with humour, that being the best strategy after the first two matches – too much introspection and thought would cripple a woman (or man, should we wish to think deeply…). Any mention of bandwagon supporters makes me cringe. It reminds me of comments from “real” supporters during CWC2015 that those NZ supporters who weren’t avid super fans were ruining the experience by buying up all the tickets and making attendance hard for said “real” group. But I digress. I had a discussion with a colleague during the week that I think much of the comment on social media is largely people venting, and can be taken with a grain of salt. There are undoubtedly a few who mean it, but most are just hot air from those clearing their head (Stuff commenters are likely no different). Due to the ceiling you mention (let’s forget the floor), people do have elevated expectations. Poor performances are forgotten and the country expects results against the best. All NZ sports’ teams are judged against the record of the ABs, whether deliberately or in our ingrained national psyche. Thank you for not including some of the excuses (or genuinely held beliefs, depending on your point of view) floated in the last few days but I shan’t mention them – I’m already “accused” of being a cynical curmudgeon with nothing positive to say (at least part of which is true…). Besides, extended views belong in a blog (not the comments section) and I have that away many moons ago. As you note, teams sometimes struggle and NZ is currently in that situation. Only the players can change that – not the coach, not bandwagoners, not the pitches or some mysterious momentum gathering exercise. 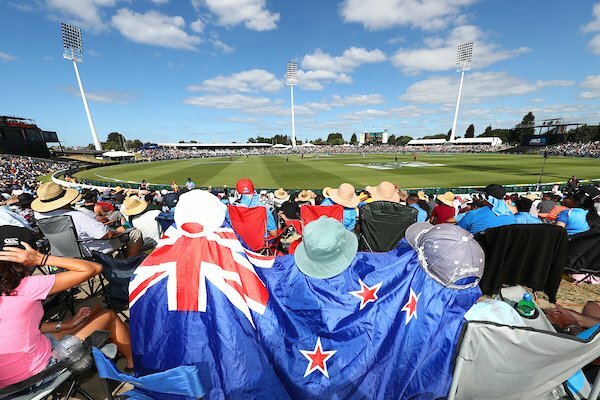 Every Kiwi sporting fan wants to see the change (or the reversion to the ceiling) though I’d prefer it starts before an overhyped four-yearly CWC. Thanks AXI! It’s a great little community to be part of, and we all share a passion for sport and our little battler of a country. I slight bandwagoners, but I’m actually not against them. The more eyes on a sport, any sport, it can only be good for the game overall. Hell, that is me with any Olympic sport. And you’re right about the national sports yardstick. It’s slightly unreasonable when rugby has been such a minor global sport with limited competition. And to be honest, I did wonder how many people in certain spheres would take me seriously and denounce me as a fan. Obviously they wouldn’t know me or my writing very well! Many thanks for your last line AXI. It’s a labour of love, but an enjoyable one. And I’m very thankful to HH & All (too many to mention) for input. That wasn’t click bait, it was a public service much like SKW is in SPOTW.